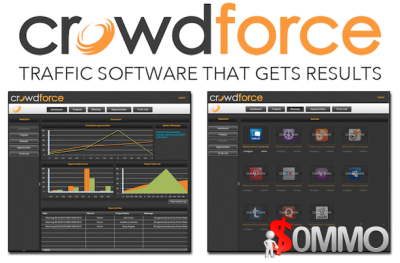 Crowd Force is a breakthrough traffic generation software that allows users to identify and leverage a diverse range of hidden traffic sources. It helps in eliminating all kinds of traffic problems, but puts traffic generation completely in the control of the user. Well, this means here users no longer need to rely on Google for traffic, and have an alternative to paid traffic. As a side benefit, Crowd Force has proven itself to be an extremely effective SEO tool, because it's providing Google what it ultimately wants - related backlinks on high quality sites that DRIVE TRAFFIC. Lith Traffic Click Botz is new version of Traffic Click Botz, it can generate visitor to your website by using Proxy, SOCKS5, VPN and SSH. Completely On Autopilot And... ... 100% FREE!" AutomatedHits is a Windows based traffic bot that lets you send automated traffic into any URL from around the world. This software is great for anyone who is looking to increase the number of unique visitors and pageviews they have going into their website. Along with that, this software can also be used to decrease your websites bounce rate and increase views on media files such as YouTube videos. The AutomatedHits software also comes stacked with awesome features guaranteed to make each and every visitor look both real and active. Set options like the random visit interval to change the duration of time spent on each visit. Check and enable other features to handle tasks like clicking and visiting random internal URLs. This software is completely safe with all ad networks and will never click on a PPC ad. Whether you sell traffic for extra income or just want to increase the numbers going into your own websites, download a licensed copy of AutomatedHits and let this software handle the entire task for you!